Editor's Note: Karalen L. Morthole is a senior majoring in political science at Catholic University of America. I have been a Catholic my whole life. Baptized as a baby and confirmed in the seventh grade, I attended weekly catechism classes and received a Jesuit education. Never once did the opinion of the church on a person's use of contraceptives surface. 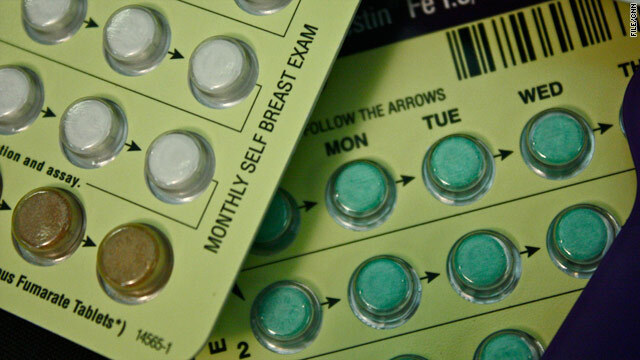 In high school, I was prescribed birth control to balance my hormones. I suffered from terrible mood swings that had negative effects on my relationship with my family and got me into trouble with teachers. I also experienced menstrual cramps so painful as to be debilitating; sometimes, they left me unable to move. My mother, a devout Catholic, had no problem with my taking birth control, because she recognized the dramatic effects this simple medication had on my life. Birth control gave me a new, healthy and balanced way to live. As a 22-year-old woman, I am able to think more rationally because of birth control. Teachers at the Jesuit high school I attended urged students to protect themselves when they became sexually active, to use condoms to stamp out the risk of contracting a viral sexually transmitted disease that would affect the rest of their lives. Some would criticize my teachers for that, but I thank them. My peers and I were taught by caring and realistic teachers with experience making decisions to promote their own health. Some had seen the horrors of sexually transmitted diseases. Birth control, condoms and emergency contraception have all served their purpose in my life, because each work in different preventative ways. Birth control has aided my mental health, giving me a clearer head; condoms have protected me from contracting diseases from sexual partners. Emergency contraceptives were there when I was uncertain about whether I’d become pregnant and needed reassurance. I’m not ready to raise a child on my own. Even though the official Catholic Church teaches against contraceptives, I do not feel immoral using them. They’ve allowed me to live my life without the fear of unwanted pregnancies or deadly diseases. My religion has played a large part of my life, laying the groundwork for my personal relationship with God. It has taught me how to respect others, be a human with integrity and help those in need. Catholicism is a beautiful religion that supports family values and tolerance of others and leads us to serve others, a teaching I’ve adapted into my everyday living. The Catholic Church does an exceptional job standing up for those who live in poverty and suffer injustices. But on contraception, the Catholic bishops have taken a stance that violates the basic rights that affect millions of Catholics across the country and shows a lack of concern for women's health. It is disheartening that the Catholic bishops were so opposed to the Obama administration's decision to require religious institutions like hospitals and colleges to provide their faculty, staff and students with access to reproductive health care, which includes birth control, emergency contraceptives and condoms. Even after the White House announced a revised policy Friday that exempts religious institutions from having to pay for the contraception coverage, at least one bishop voiced disgust. The U.S. bishops said in a statement Friday that it's "too soon to tell whether and how much improvement (there's been) on core concerns." The bishops have gone so far as to threaten to cease health care coverage to the faculty and staff at my college if it’s forced to comply with the Affordable Health Care Act. In my view, any sexual activity that spreads deadly diseases is sinful because it shows complete disregard for human health and human life. The Catholic Church believes that condoms negatively impact the sexual lives of men and women, preventing reproduction and the creation of life. I believe that condoms are, in fact, pro-life. They help women and men act responsibly in regards to the spread of HIV/AIDS. Condoms also prevent unintended pregnancies that could result in abortions, another issue that the Catholic Church has strong views about. As a Catholic, I stand with President Obama's decision to require religious institutions to provide access to contraceptives. I believe that birth control can be used by religious people without having a negative effect on someone’s faith. Catholics value human life. I believe that includes acknowledging the rights of women to take care of our bodies. The opinions expressed in this commentary are solely those of Karalen L. Morthole. hatas gon hate.. lovahs gon love.. and you gotta still keep doin ya thang! do what you believe in yadadaimean? Oh, goodness. I haven't read all of the comments, but I have to hope Karalen will read some of them. Her views are not in accord with Catholic teaching, thus she is not a Catholic. As someone wisely pointed out in the comments, the Catholic Church is not a lay church. It is built on centuries of apostolic tradition passed down from age to age in the fullness of Christ. To go against any of its teachings willfully and intentionally simply because one doesn't "feel like" XYZ is a sin, is to condemn oneself. Karalen, please do consider reading the Catechism yourself, reading Humanae Vitae, and deeply immersing yourself in prayer and Scripture. This is no issue to take lightly, as we are called by Christ to set the "world afire" in his name, and if you are spouting off AGAINST what the Church has said is Truth, you are greatly blaspheming. Peace to you! I'll be praying for you and your classmates, who clearly were not well instructed in the ways of the Church. Who are you to say who is a true member of the church or not? The fact that you support a church that supports and helps pedophiles does not say a lot for you as a person. The fact that you believe prayer says even less. Get an education in the real world and leave your 2000 year old way of thinking behind...time to grow up little girl. It's sad when people say they represent Christ and then support things like s-x before marriage. Also, this example of a reason to support birth control is lame. Sounds like she started taking it for a reason that's completely disconnected from its primary use. I do not think it matters what its original purpose was. What matter is what its use is today. The current legislation is how it is going to affect the future of the use of birth control. I do not the Christ would care if someone was having s3x before marriage. Abortion as contraception ? or a as female genicide ? A nurse was shocked to find that the woman who was in the hospital to have a child, had been in the hospital on two othe occassions, occassions to have abortions, why ? because the unborn children were female. Karalen, no body is perfect, you writings are a good start to discuss these matters and the underlying logic in them. Some of your teachers appear to have filled your mind with questionable half-truths, and half-truth logic. Its important for you and other christians to learn about half-truths, you see there are new types that have plagued mankind since the days of adam and eve. You can check wikipeida with the new types of half-truths or a book, "The Caesar Squitti Code"
For someone preachinga bout half-truths, I wouldn't cite wikipedia as a source. Anyone can change, edit or add to wikipedia. That alone makes it full of half truths. Find a better source to strengthen your concerns, which I think could actually have a strong basis behind them. Karalen L. Morthole, come out of the closet...you are an atheist..you just have to admit it to yourself..youre life will be so much more fun. I do agree with Jill Moore that it is insane for someone to say they are a devote Catholic and then ignore CORE values of the church. Now I'm agnostic and I do NOT support the Catholic church but it is folly to say one is XYZ and then ignore the CORE values of XYZ. These people need to grow up and LEAVE the church. Also the RCC is NOT a lay church. The leader of the church could care less what the lay think. So the lay need to either be good little sheep or GET OUT OF THE CHURCH. I highly recommend the latter. Not so. One is allowed conscience, but that conscience is to be formed knowing what the True teachings of the Church are, knowing the love behind them, and why it is taught the way it is. If she (and you and I for that matter) understood the love within the Most Holy Trinity and how that love is life-giving, one can begin to understand what love is, the gift of self involved, I do not believe she could remain in her present position. If one is a Catholic Christian in particular, one can look at Christ's body on the cross to know the kind of self-gift you and I are called to. In any case, a Catholic is expected to know what the teaching is, and why the Church says before saying it is wrong and invoking quote unquote conscience. Unfortunately, she has not received proper teaching. And that is why she who taught her is guilty of the far greater sin. As one's aeternal soul is on the line, I do not understand why people are so sloppy in trying to understand what the Church says before saying it is wrong. My mother, a devout Catholic, had no problem with my taking birth control........I am sorry to inform you of this but your Mother was no devout Catholic if she had no problem with you taking birth control. I do hope you read these comments because you are grossly misinformed. I will be praying for you and your mom. Well Said Jill...so many phony Catholics.